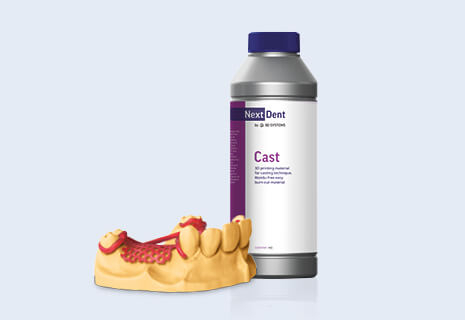 NextDent Cast for Ceramill (integrated) is an easy burn out 3D printing material, residue-free and suited for all kinds of purposes. Whether you need a support structure, a frame or orthodontic devices. Simply design and print making use of our castable material and the investment material that is recommended. Casting the parts in the metal you require.